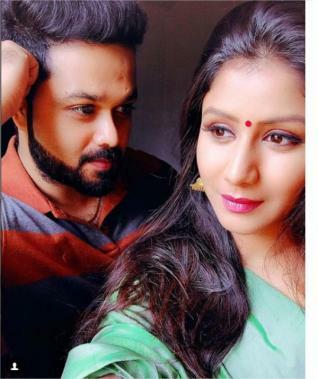 Both Alya Manasa and Sanjeev are the star couple in the Tamil television industry after being featured as the lead pair in the hit TV show, Raja Rani, as the characters Semba and Karthik. With their popularity at a peak now, both Alya Manasa and Sanjeev have once again paired up for a Tamil short film titled, Ennai Maatrum Kadhale. A romantic short said to be based on a true story, Ennai Maatrum Kadhale has been directed by Nirmal Janarthanan with music by Anton Zephrin, cinematography by Manikantan Krishnamachary and Praveen Kumar and, editing done by Pradeep Vijayaraj. Alya Manasa and Sanjeev are at their best comfort zone in Ennai Maatrum Kadhale with their chemistry from Raja Rani once again intact in this short film.